During the second half of the family portrait session this little boy decided to take off his suit jacket and explore! There happened to be a school bus parked for the weekend near our portrait location. He loved looking in, seeing his reflection and making funny faces in the window. Left right kisses for this adorable little guy during his outdoor portrait session. He loved showing off his handsome style while strolling back and forth for his portraits. He did find a perfect location to take a break at the end of the portrait session to sit and relax in the greens! We have enjoyed working with these two since they were toddlers! Their coloring is pure beauty when we photograph them outdoors during the fall months. They always make each other laugh when it is time for the individual portraits. They make us giggle too during their portrait sessions! We adore these siblings! This silly one year old was so much fun to photograph! She gave us tons of smiles during her portrait session and loved all of our props we use for the in-studio portrait sessions. Her expressions were too cute! 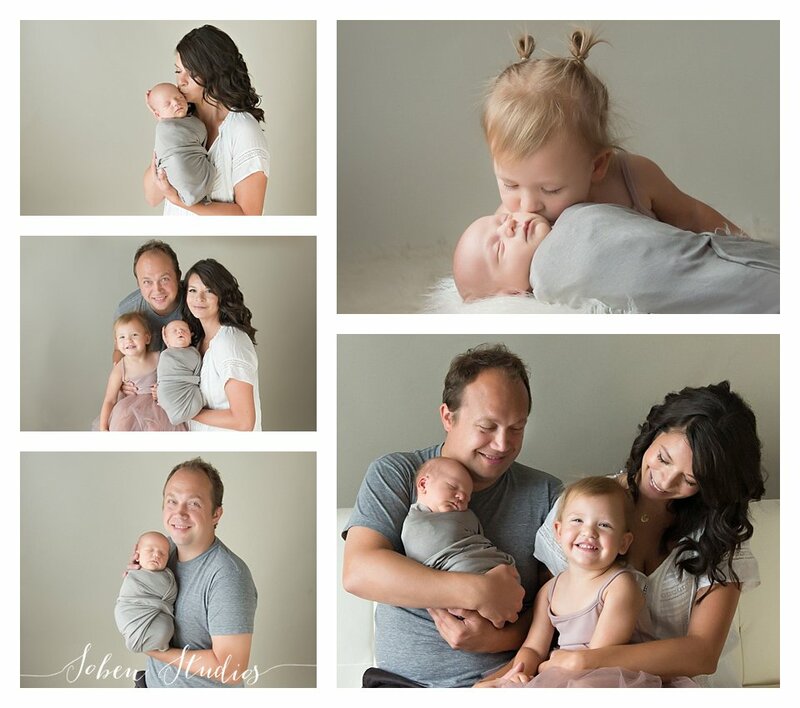 We love when our portrait sessions turn into play sessions! The best portraits can be captured when the subjects don’t know whey are being photographed. These siblings could have spent hours playing in the leaves together. This little guy was so sweet and happy during his newborn portrait session. We were fortunate to document both awake and sleeping portraits. His big yawns made us smile too! 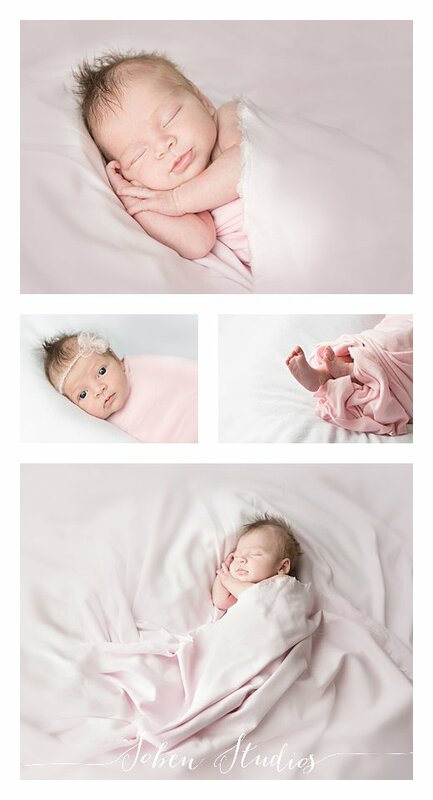 It seems like yesterday that we had this little girl in the studio for newborn portraits. She now is a big sister and it’s her brother’s turn to be photographed as a newborn. There were so many giggles and hugs and kisses during this portrait session. This little girl is a very proud big sister and her kisses to her brother were simply precious! How fast one year can go by?! We photographed this beautiful girl when she was under 2 weeks old! We love watching our newborns grow up. She was the cutest toddler doing her best to stand up on her own. We provided a little assistance for her though:). 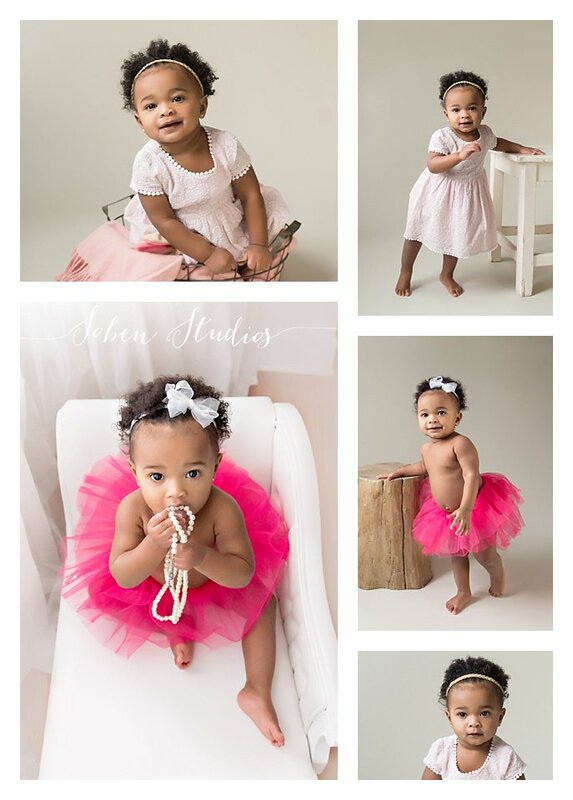 She really enjoyed showing off her new tutu in our photography studio too! Nothing better than photographing at a forest preserve on a gorgeous day with a fun-loving family! The kids also enjoyed holding hands with their parents while strolling along the various paths during their portrait session. Truly a picture perfect day! We witnessed the beautiful bond between these siblings during their outdoor portrait session. This little sister looks up to her big brother and he absolutely adores her. These images show their love and friendship towards one another. They were so much fun to photograph at the forest preserve! We love when a baby warms up to us and shows off her skills:). She enjoying singing to us and being ever so happy even towards the end of the portrait session. She was darling inside and out! Boy do these two cuties love their parents…except when a kiss was shared at the end of the portrait session:)!! This family truly has an amazing bond and these outdoor portraits definitely show the love. The mother daughter bond is just as strong as the father daughter bond! We loved photographing this beautiful family. Outdoor portrait sessions can be some of our favorite sessions when we jump into the fall season! This fun-loving family of four was put to the challenge of who could jump the highest. Their laughter could be heard throughout the park! Both girls were determined to jump higher than their parents during this portrait session. Everyone was a winner in our book!! Sisters who laugh together love together too. During their in-studio portrait session the sisters enjoyed making one another laugh during the "serious" portraits. We were so entertained by their interactions. A sister will always be there to make the other one giggle and gleam. They are beautiful little ladies inside and out!